Chand was arrested on November 27 in Kathmandu under a cyber law for publishing news that an attack was attempted on former prime minister Prachanda. New Delhi: Journalist bodies have condemned the arrest of Nepalo journalist Gopal Chand, the editor of an online news portal postpati.com, and demanded his immediate release. Chand was arrested on November 27 in Kathmandu under a cyber law for publishing news that a local in Chitwan district attempted to attack former prime minister Pushpa Kamal Dahal ‘Prachanda’, who is now a co-chairman of the ruling Nepal Communist Party, during a meeting. The police has accused Chand of spreading false information and charged him under the Electronic Transaction Act. The International Federation of Journalists (IFJ) and its affiliate the Federation of Nepali Journalists (FNJ) expressed concerns over the arrest. 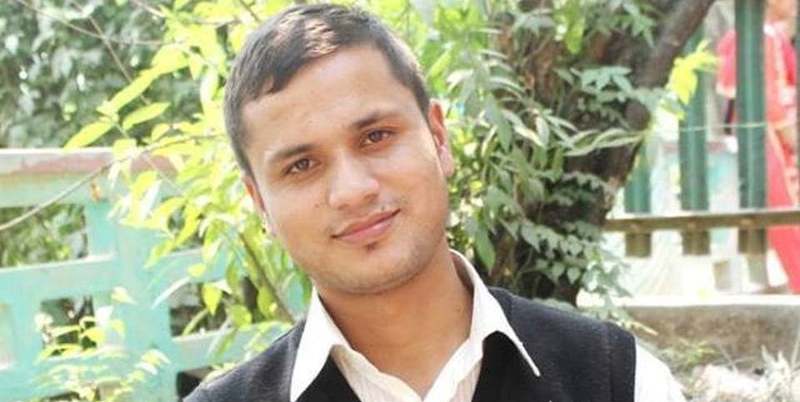 In a separate incident, journalist Kamal Paudel Athak was threatened for a news about fraud on September 29. Paudel, who is associated with various news outlets in Pokhara, west Nepal, received a threatening phone call from a person who didn’t disclose his identity. The IFJ said: “The IFJ condemns arrest of journalist Gopal Chand, and threatening phone call to journalist Kamal Paudel Athak in Nepal. The incidents show the weakening press freedom. The IFJ demands immediate release of Chand and arrest of the person who threatened Paudel. Nepal government should ensure that such incidents are not repeated in the future.